The CBI has sought recall of the court's February 5 order, staying the arrest of Mr Kumar in the Saradha and Rose Valley ponzi scam cases. Former Kolkata top cop Rajeev Kumar is an accused in the multi-crore Saradha chit fund case. 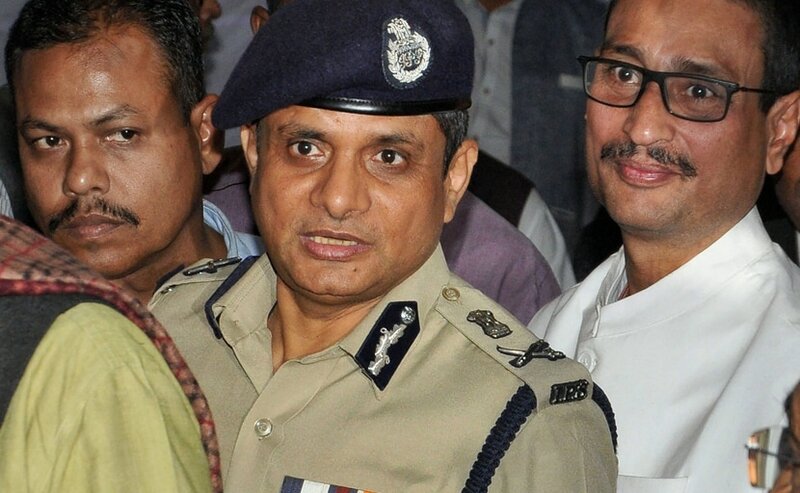 The Supreme Court on Monday sought response from former Kolkata Police Commissioner Rajeev Kumar on the CBI's plea seeking his arrest in the multi-crore Saradha chit fund case. The CBI has also sought recall of the top court's earlier order directing that no coercive action be taken against Mr Kumar. A bench headed by Chief Justice Ranjan Gogoi issued notice to Mr Kumar on CBI's plea and sought his response within four weeks. The CBI has sought recall of the court's February 5 order, staying the arrest of Mr Kumar in the Saradha and Rose Valley ponzi scam cases. In its plea, the agency said the recall of the order granting Mr Kumar interim protection from arrest was necessary "to unravel the entire gamut of the larger conspiracy in ponzi scam cases". The CBI also sought directions to West Bengal authorities to comply with the court's earlier orders "in letter and spirit" and not to create any hurdle in the agency probe or try to "intimidate, harass and scare agency officials" probing the cases.